Discussion in 'Z4 Roadster & Coupé' started by Zorg, Apr 22, 2013. 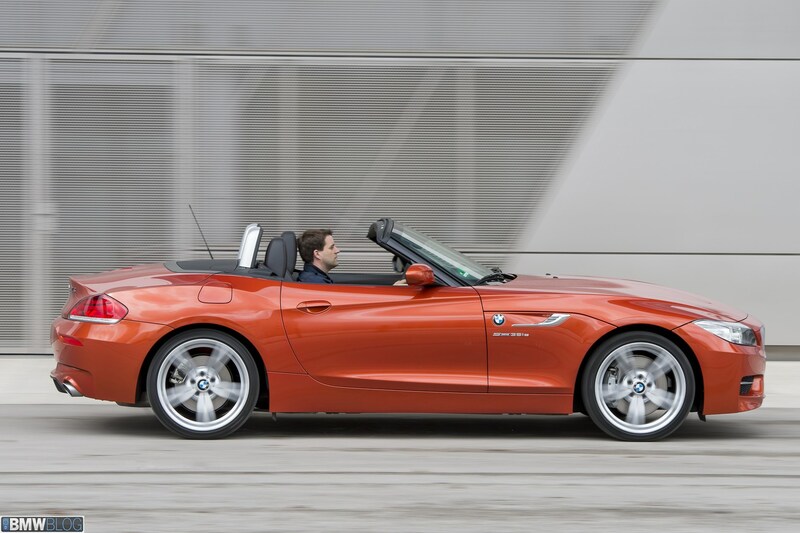 New videos of the 2014 BMW Z4 Facelift emerge from an international press event. Journalists from around the world spent some time behind the wheel of Z4 sDrive35is models, the top of the line Roadster. The Z4 sDrive35is is powered by the N54 3.0 liter twin-turbo six-cylinder engine producing 335hp and 332 lb-ft of torque mated to a 7 speed DCT. 0-60 is just a mere 4.8 seconds away. The mild facelift of the Z4 brings new headlights that now feature LED rings in a new stunning 3 dimensional design topped off with LED accent lights. New side gills enhance the already flowing style of the side of the car. Striking new paint finishes are now available like Valencia Orange and will include a Hyper Orange Design package that includes orange contrast stitching on black leather seats . The Z4’s classic good looks are highlighted by its long hood ala Z8 style, and pushed back drivers seat, so far that you are sitting over the just in front of the rear axle. The same engine and transmission choices remain unchanged.